Founder of Jarrell Properties, Inc.
Jim Jarrell was the founder and guiding influence of the company. Mr. Jarrell attended the University of Richmond and graduated with a BS in Chemistry in 1962. After working at Phillip Morris as a Chemist and working on his Masters in Chemistry, Mr. Jarrell attended T.C Williams School of Law. After obtaining his JD in 1968, Mr. Jarrell began a law practice in Spotsylvania County, Virginia with his father-in-law. In addition to his private law practice, Mr. Jarrell served the citizens of Spotsylvania County as the Commonwealth Attorney, County Attorney and Commissioner of Accounts. His law firm, Jarrell, Hicks & Sasser, PC grew to be the largest firm in Spotsylvania. 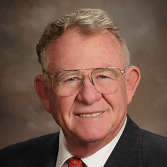 Mr. Jarrell eventually limited his practice to specialize in real estate and zoning law. Beginning in the 1960’s and throughout his legal career, Mr. Jarrell was involved in a number of real estate projects as a side business. In 1998, he left the active practice of law and focused primarily on the company’s development business. Mr. Jarrell handled a number of special projects for the company such as the design and construction of Founders’ Park and the Ladysmith Library at Ladysmith Village. 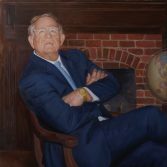 Growing up in a construction/development environment, Mr. Hicks united with Jim Jarrell in 1972 to form the law firm that eventually became Jarrell, Hicks and Sasser, P.C., where his practice focused on real estate law. Since 1985, he has served on the Board of Directors of several finiancial organizations. Ron served as the Chairman of the Board of Directors of First Union Market Bankshares Corporation, and he currently serves on the Board of Trustees of Chowan University and the national Board of Grand Trustees of the Elks. Mr. Hicks, most recently served as the Grand Exalted Ruler of the Elks. Mr. Hicks is a graduate of Lynchburg College (BA in Political Science) and the T.C. Williams School of Law (JD). Jay Jarrell entered the real estate business at an early age. While still in high school, he purchased his first rental property; dismantled; relocated and reconstructed a commercial greenhouse (which the family operated for three years) and assisted in the design, layout and construction of a manufactured housing community. After graduating from the University of Richmond in 1983 with a BS in accounting, Mr. Jarrell spent a few years on the Controller’s staff at Reynolds Metals Company in Richmond, Virginia where he obtained his CPA license. In 1987, Mr. Jarrell created Jarrell Properties, Inc. to manage the various rental properties owned by the Jarrell family. In 1988, Mr. Jarrell graduated with his JD degree from the T.C. Williams School of Law and he joined the law firm of Jarrell, Hicks & Sasser, P.C. located at Spotsylvania Courthouse, Virginia. In his law practice, he focused on real estate and zoning law, while being actively involved both as an attorney and as a principal, in the development of numerous subdivisions. In 2002, Mr. Jarrell retired from the active practice of law and has focused primarily on the company’s development business. Currently, Mr. Jarrell serves as the Vice Chair of the City of Fredericksburg Board of Zoning Appeals. Prior to joining Jarrell Properties, Inc., Mike has had an expansive career in the public and private sectors. Mike began his career as a Planner with Spotsylvania County, responsible for handling all residential plats and plans. He then progressed to the private industry with NTS / Virginia Development Company where he was the Project Manager and Assistant Vice President for development at the Fawn Lake community in Spotsylvania, Virginia. Mike then moved from residential development to commercial construction as a Project Manager with Mid Atlantic Construction Group and was responsible for various commercial and petroleum oriented projects throughout Virginia and Maryland. Most recently before joining Jarrell, he was with a government contractor supporting Marine Corp and Navy contracts in government acquisition and program management. Mike obtained his undergraduate from Virginia Tech (BA in Urbanization and Policy) and his graduate degree from University of Mary Washington (MBA in Project Management). His limited spare time usually involves soccer and time with his beautiful wife and four (4) children. James joined the family firm in 2016, having been hired by Ernest Hoch to manage Jarrell Properties Inc.’s land purchases and residential lot sales. James is the fourth generation to be active in real estate development. Prior to James’ hiring at JPI, he lead two successful start-up businesses, Rolling Restaurants and The Tool Box Co., that gave him the hands-on business foundation that he is building off of. James currently serves on the board of Loisann’s Hope House in the City of Fredericksburg. James’ undergraduate work was completed at the University of Richmond (BA in History), where he concentrated on the American Civil War. James is currently completing his graduate work at Georgetown University, where he is working towards a Master’s degree in Real Estate Development. While not working, James cherishes the time he spends with his wife, baby girl and dog, as well as travelling, and asking questions.